What type of dance lessons interest you? Do you need a special reason to learn to dance? That’s best answered with another question: do you need a reason to brush your teeth every day? Of course not, but ultimately it’s up to you to make it happen. You’ve been dreaming about learning to dance, take the first step (with one of your two left feet 😉) and give us a call! Our dance backgrounds are what you’d expect: we all found a passion for dance at a young age and have studied, performed, and taught dance extensively. But that’s nothing special - so has every other professional dance teacher in Chicago. So why learn from us? When we aren’t saving the world one dance lesson at a time, we might be doing yoga, contemplating the meaning of life, looking for our next bacon fix or waiting 20 seconds for the next episode to load. 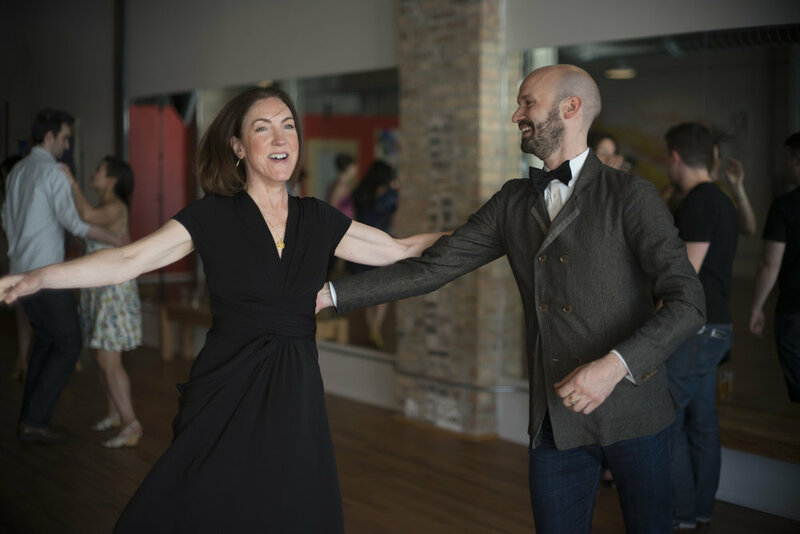 We are real people who just so happen to teach the best dance lessons in Chicago. While we've become known for wedding and first dance lessons, we're experts in a wide variety of dance styles. Wedding dance lesson are for anyone - engaged couples, parents, wedding guests - who are interested in learning to dance during wedding receptions. These lessons differ from first dance lessons in that they're focused on preparing for social dancing, not performing a first dance. 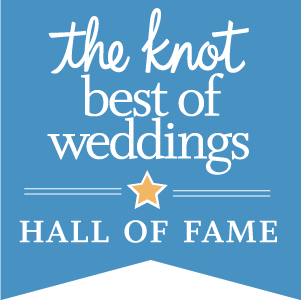 First dance lessons are private lessons designed for engaged couples who need a little help preparing for the first dance at their wedding reception. These lessons focus on each specific couple's needs as related to their skill level, first dance song and vision for their first dance. Swing is one of the of the most versatile social dances. Swing got its start in Harlem in the 1920s with the beginning of jazz music, and has continuously developed since then into multiple styles. At Ballroom Dance Chicago we teach about 10 swing variations. 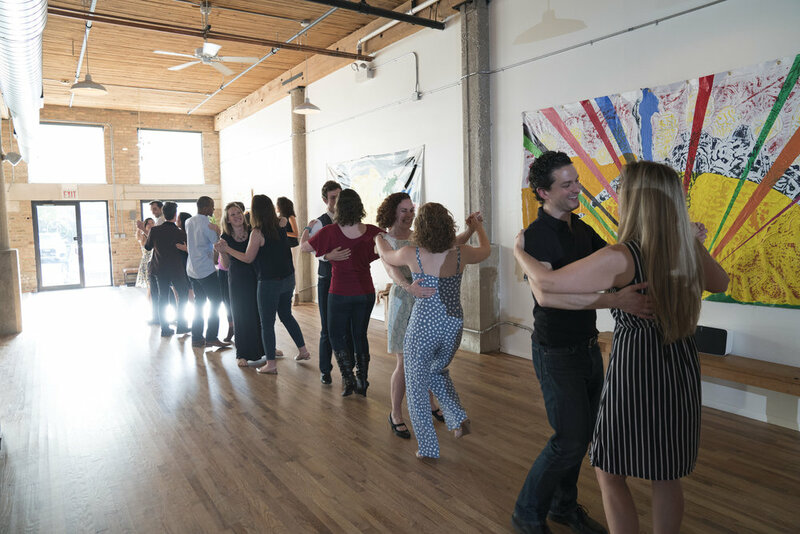 Salsa has been the most popular dance at Ballroom Dance Chicago since our inception. We teach a variety of styles and start on both the "1" and the "2," but we're mainly an "on 1" school. We have both group and private salsa lessons. Foxtrot, Waltz, Tango, Viennese Waltz and Rumba are the focus in our ballroom dance curriculum. We're different than other studios in that we also teach variations of these styles of dance that fit with most modern music. 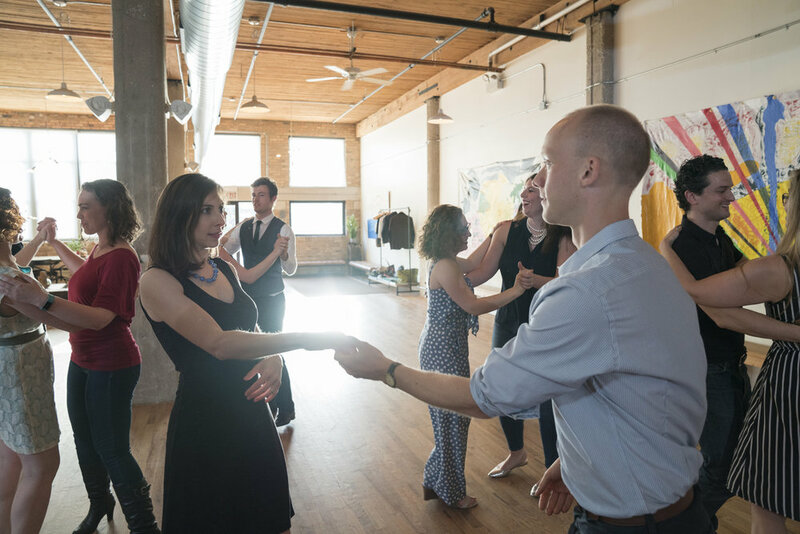 Group dance classes at Ballroom Dance Chicago are for the social dancer looking for a little more skill and an opportunity to socialize. Group classes are perfect for you if you're a casual learner with meandering goals.